KUNGALOOSH! It's the Muppets as the characters from The Adventurers Club, formerly of Walt Disney World. 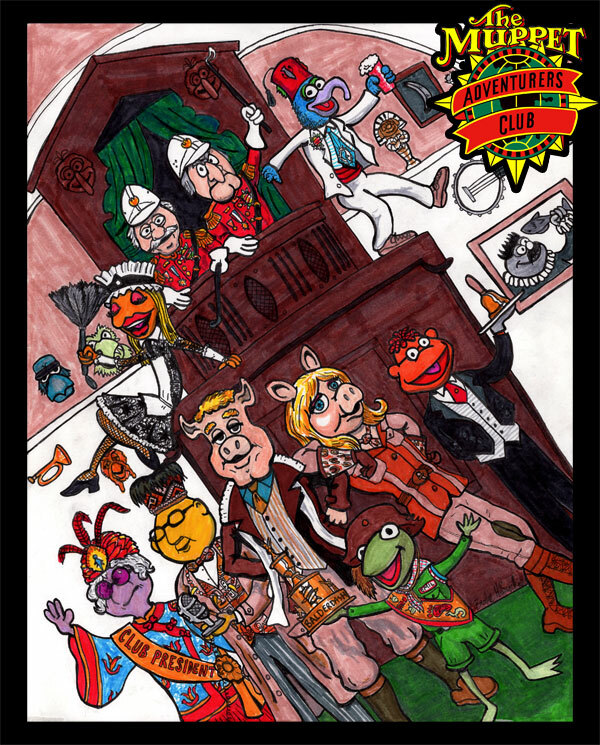 Featuring (left to right, front row) Hilda as club president Pamelia Perkins, Bunsen Honeydew as Fletcher Hodges, Link Hogthrob as Hathaway Browne, Robin as Emil Bleehall, Miss Piggy as Samantha Sterling, Scooter as Graves, (upper row) Janice as the maid, Statler and Waldorf as Colonel Critchlow Suchbench, and Gonzo the Great as Otis T. Wren.